When Congress and the Trump administration enacted their massive tax cuts for profitable corporations and wealthy individuals  at the end of 2017, they (and the corporate special interests behind the scheme) promised – as they always do – that benefits of the cuts would “trickle down” through the economy to average Americans. Of course, as anyone who’s been paying attention during the last 40 years of federal tax cuts understands, the only thing that’s really trickled down to most Americans during this period is fear and uncertainty. This is because the main result produced by decades of conservative economics has been an ever-more stratified society in which the rich have gotten exponentially richer and, despite steadily rising worker productivity numbers, incomes of the poor and the middle class have remained maddeningly stagnant. Now, however, there’s actually a surprising, if isolated, chance for a version of the trickledown fantasy to come true in North Carolina. No, this won’t take place in the traditional way trickledown policy is understood – i.e. through the “genius” of the “free market.” Instead, this little episode of trickledown will need to come to pass as a result of state government regulators doing their jobs. While many of the beneficiaries of the new GOP tax cuts (hedge fund operators, oil company execs, and various members of the Trump family, to name a few) will, no doubt, be blissfully squirreling away their latest tax windfall and contemplating new vacation homes in the Hamptons, some tax cut recipients actually remain in reach of state government regulators. Take the giant regulated monopoly Duke Energy for example. Under current utility law, Duke is already entitled to pass along the taxes it pays to its ratepayers. Under the new tax plan, however, in which its tax rate will be slashed from 35 to 21 percent, Duke is sure to get a big cut – perhaps as big as several hundred million dollars. So it stands to reason that ratepayers should benefit. The CBC editorial also notes that, to his credit, North Carolina Attorney General Josh Stein has joined a coalition of state attorneys general demanding the Federal Energy Regulatory Commission take immediate action to make sure the tax savings are rightly passed to ratepayers. 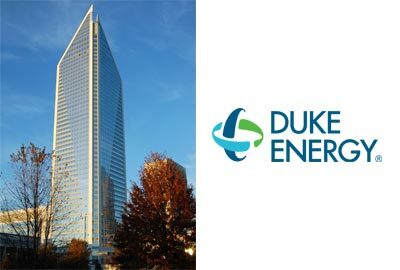 Let’s hope that federal regulators and the North Carolina Utilities Commission, which is currently reviewing new requests from Duke for big rate hikes, figure the tax windfalls in (both for Duke and all of the state’s many regulated utilities) and pass them along to consumers as soon as possible. Of course, Duke Energy and the other corporate giants regulated by the Utilities Commission aren’t the only big companies to benefit from new corporate income tax rates that are within reach of North Carolina regulators. State Insurance Commissioner Mike Causey has dozens of such companies within his jurisdiction as well. Each state insurance commissioner should act quickly to ensure insurance consumers – and not shareholders – benefit from the recent changes to the federal tax code and major reduction in the corporate tax rate, according to insurance consumer advocates Consumer Federation of America (CFA) and Center for Economic Justice (CEJ). Assuming North Carolina is home to roughly 3% of the U.S. population and that the CFA/CEJ estimate of $25 billion nationally is accurate, some rough, back-of-the-envelope math tells us that North Carolina insurance consumers could be entitled to as much as $833 million in rate relief. Yesterday, happily, a spokesperson for Causey told me that staffers at North Carolina Department of Insurance are aware of the issue, have discussed it and expect to take some kind of action to address it. Needless to say, however, the devil can be in the details in such matters. Recently, Causey caused some alarm bells to ring  in the consumer advocacy community when he seemed to drag his feet in publicizing opportunities for consumers to speak out about proposed homeowner insurance rate hikes. And while he appears to have done the right thing by rejecting the hikes for the time being , the issue of insurance rate regulations remains extremely arcane and difficult for average folks (or even trained advocates and journalists) to follow. Add to this, Causey’s recent disappointing action to disband the Department’s longstanding Consumer Assistance Advisory Group, and it appears that there will be good reason for North Carolinians to pay very close attention if the examination of insurance industry profits is to bear any real fruit. The bottom line: Federal policy in the era of Trump is not good for much, but at least in this one important instance, it could produce a modest, short-term payback for average North Carolinians – if state utility and insurance regulators act. We should all help hold their feet to the fire.